Food isn’t, and never has been, limited by borders or boundaries. The things we eat travel as we do, flying across oceans and into the cultures and diets of their new homes, adapting along the way. But there may be no single food item that’s made its way into every corner of the world quite like the doughnut. Fried dough has been consumed for long enough to be found as fossilized pieces at ancient Native American sites. These days, it’s everywhere in one variation or another. In fact, forms of fried dough are made on every continent on the planet. The doughnut is, rightfully, celebrated in countries around the world. However, doughnuts didn’t start as the glazed Krispy Kremes we know and love today. While fried dough has been around for countless years, the typical American style doughnut with the hole in the middle seems to have started in the 19th century. How it happened aside, there’s no debate over the world’s obsession with the fried sweet treat. Today, the American doughnut has made its way to Australia, Cambodia, and Ireland. 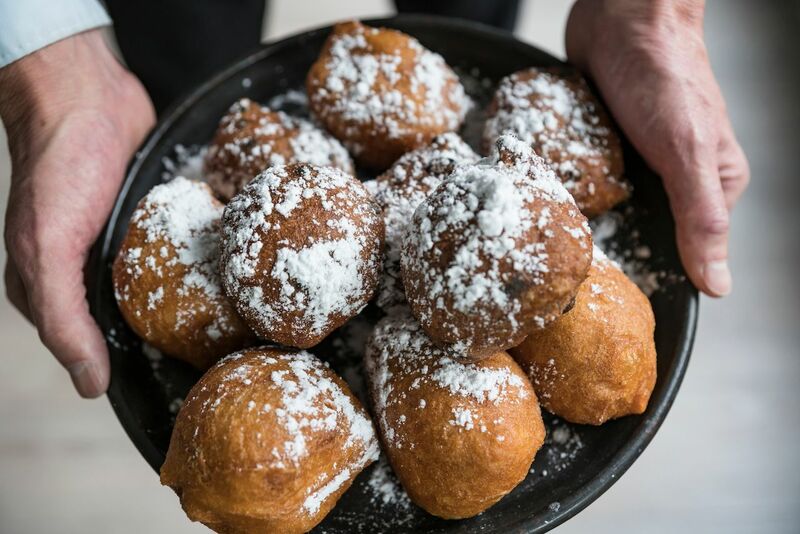 The best New Orleans beignets are arguably just as famous stateside as they are in France. Churros are sold out of carts in New York City’s subway stations and served at family tables in Mexico. The doughnut, the zeppole, the sweet, cinnamony delight of the churro. It doesn’t matter what you shape it, call it, or dip, dunk, and coat it with, the doughnut is universally revered. Could it be that the universal language is not love, as The Beatles once taught us, or math as some wild academics would have us believe? The universal language very well might be the sweet dialect of locally fried dough. It’d be a Herculean task to name every type of doughnut around the world, but these are some of the best that can be found. Churros started on the Iberian peninsula and came to the Americas via the Spanish. Now, they can be found just about everywhere. In Spain, they’re considered a breakfast food while in Mexico you can find them at pretty much all times of the day (and often alongside liquid chocolate to dip in). Of course, the churro can’t be contained to just a couple of countries. 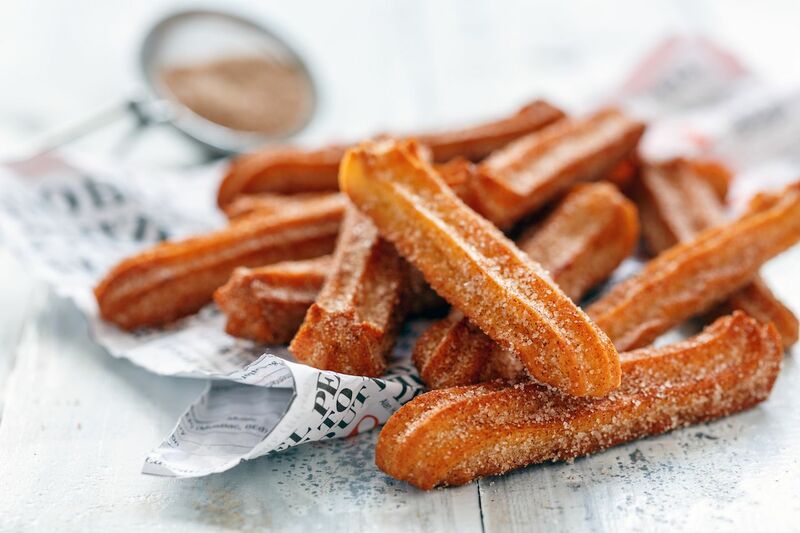 Churros can be found throughout the US from the streets of California to the subway stations in New York City. Canada is the most doughnut-obsessed country in North America — and the world. Canadians consume more doughnuts per capita and have more doughnut shops per capita than any other country. 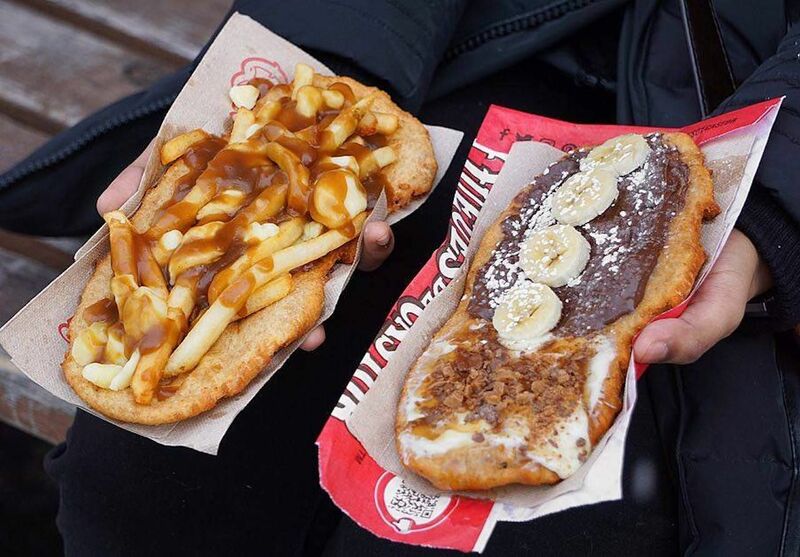 Some of those doughnuts are the basic ones from Tim Hortons, but others are twists on fried dough that have become a point of national pride, like the BeaverTail, which is a flat piece of fried dough (a shape that resembles a beaver’s tail) smeared with any topping you’d like. Pets de nonnes translates to “nun’s puffs,” which is slang for “nun’s farts.” These little farts are made with flour, butter, milk, eggs, and plenty of sugar. 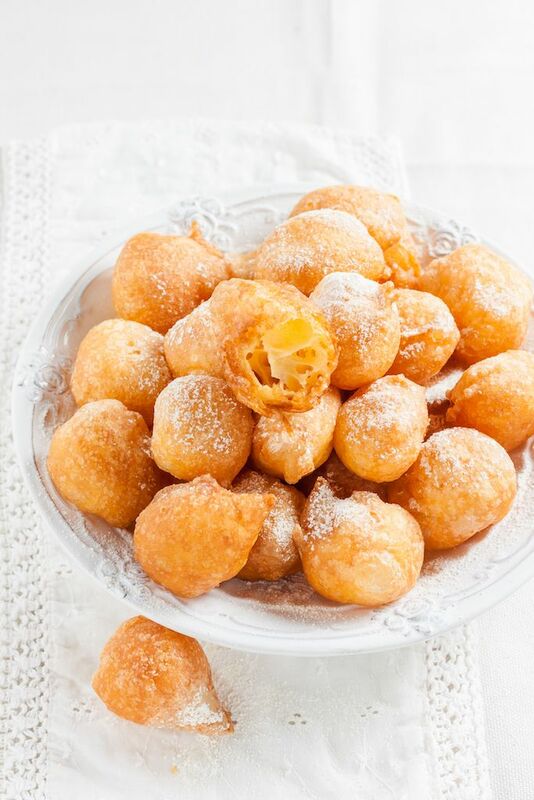 The dough is shaped into a ball and then fried in lard and sprinkled with powdered sugar. It’s a mystery why they’re called nun farts, but don’t think too much about it. 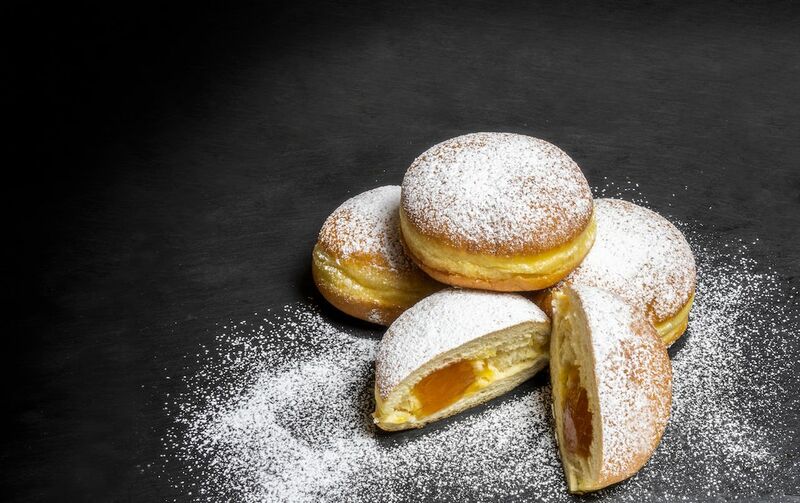 In Germany, they eat Berliner pfannkuchen, which are fried, doughnut-like pastries without a hole that are often simply called “Berliners.” These are basically just jelly doughnuts by a different name, with cream, chocolate, or fruit fillings. Just be careful when you’re eating them in Germany because it’s a far-too-common prank to fill one of the Berliners in a pile with mustard instead of something sweet. 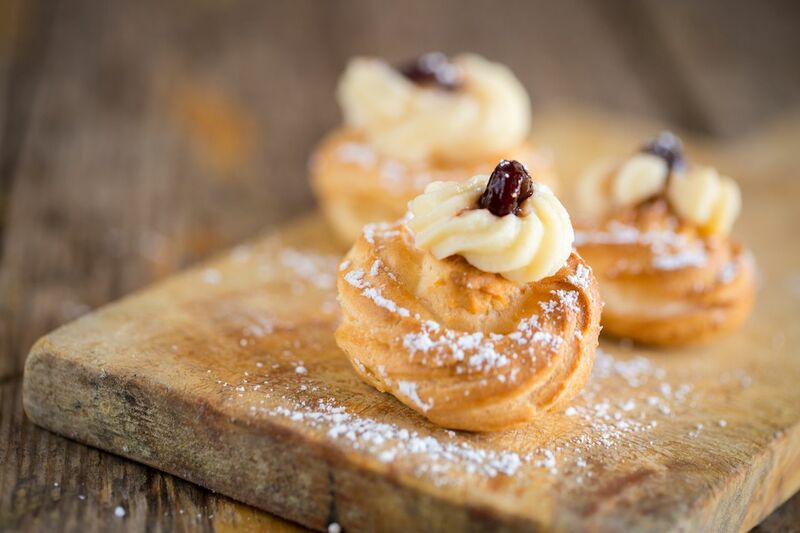 Zeppole are like filled doughnuts with the top blown off. The fried dough can be filled with custard, jam, or anything else you desire. In Italy, the filling depends on where you’re at in the country. Some areas go sweet with fillings like blended ricotta and sugar, others go savory with anchovies. Japan is close behind Canada when it comes to doughnut consumption and doughnut shops per capita. One of the types you’ll find there is what’s called an-doughnut, which is fried dough filled with red bean paste. The most popular place to grab one is at one of the many Mister Donut locations, which have been serving an-doughnuts since 1983. The Dutch’s fried dough snack is the oliebollen, which are served from oliebollenkramen. Oliebollen translates directly to “oil bulbs” and are a famous Dutch winter food that are far better than the name suggests. 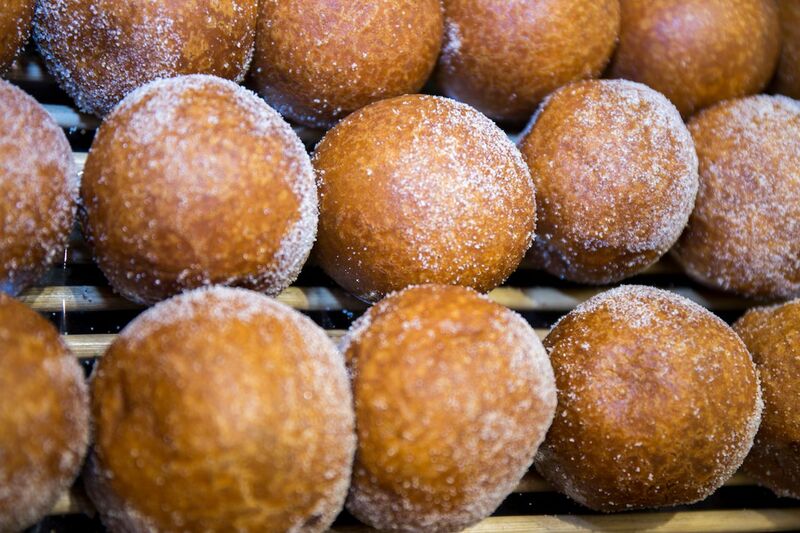 The fried dough balls are covered in powdered sugar and hold a special place as the traditional New Years treat. 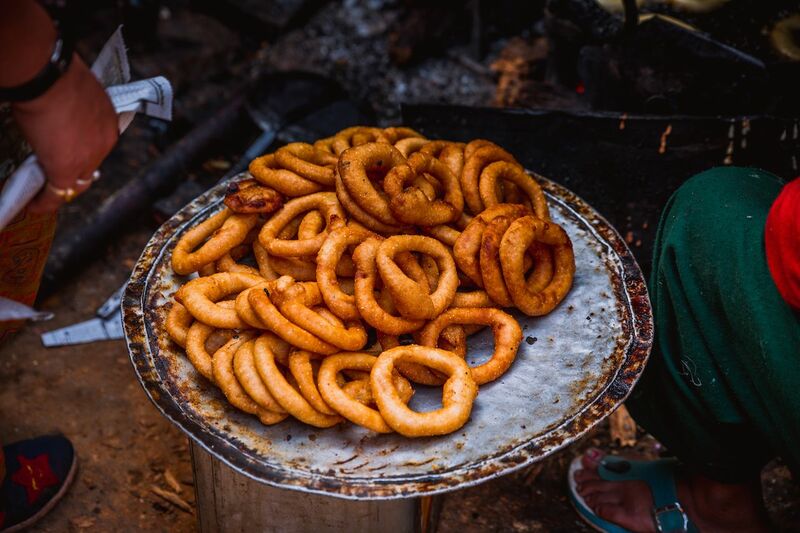 In Nepal, they eat sel roti, which are a delicacy of fried dough rings normally eaten during Hindu holidays and celebrations. What sets sel roti apart from the rest of the fried pieces of dough on this list is that it’s made with rice flour instead of wheat. 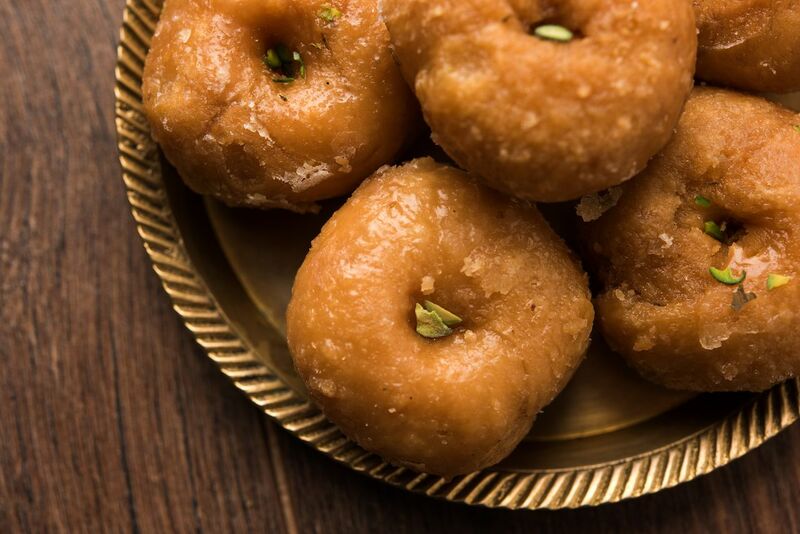 India’s balushahi consist of rings of flour that are deep fried in clarified butter or ghee before being dipped in hot, sugary syrup. Think of it kind of like a glazed doughnut but with more crunch. Picarones are made with fried squash and sweet potato instead of wheat. They’re eaten as a street food snack or an after-dinner dessert and are often covered with a sweet syrup called chancaca made from unrefined cane sugar. 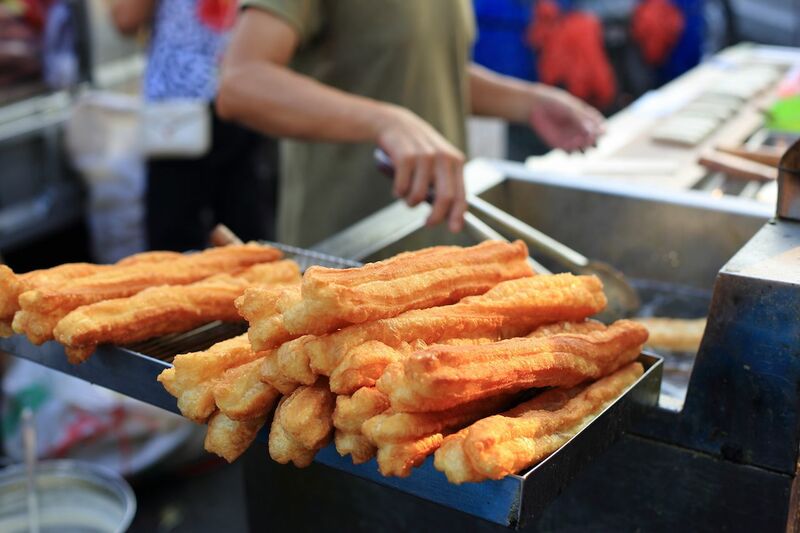 China’s doughnuts are a popular street snack called youtiao, and they’re served at breakfast along with rice congee or milk. 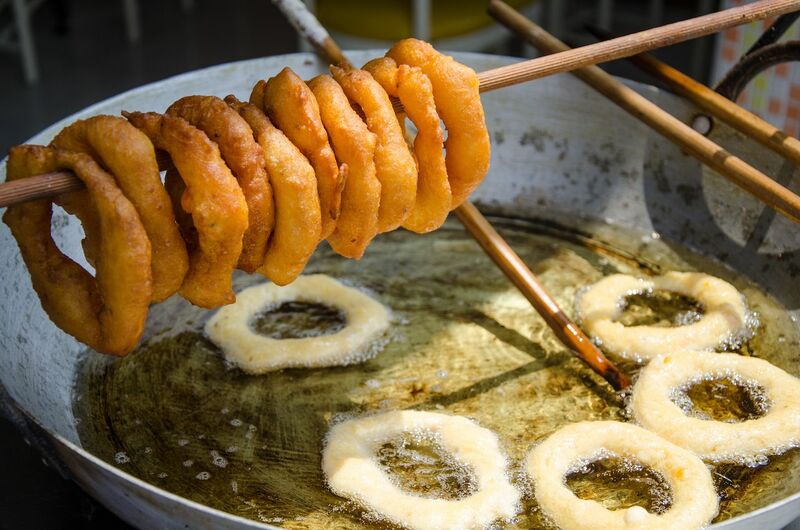 The stick of fried dough is slightly salty as well as sweet, and depending on who you ask, it’s called a Chinese cruller, Chinese oil stick, fried breadstick, or Chinese fried churro. It’s one of the more versatile types of doughnut and can be used to dip into other foods or stuffed like a sandwich.